On an island junkyard beneath a sky that glows with radiation, a deadly secret lies buried in the scrap. Seventeen-year-old Eve isn't looking for trouble - she's too busy looking over her shoulder. The robot gladiator she spent months building has been reduced to a smoking wreck, she's on the local gangster's wanted list, and the only thing keeping her grandpa alive is the money she just lost to the bookies. Worst of all, she's discovered she can somehow destroy machines with the power of her mind, and a bunch of puritanical fanatics are building a coffin her size because of it. Tobias Kaya doesn't care about The Savior. He doesn't care that She's the ruler of the realm or that She purified the land, and he certainly doesn't care that She's of age to be married. But when competing for Her hand proves to be his last chance to save his family, he's forced to make The Savior his priority. 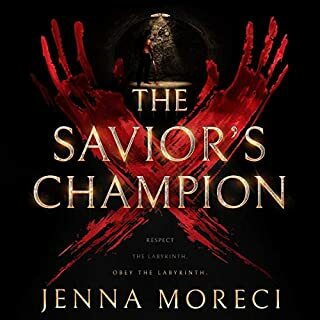 Now Tobias is thrown into the Sovereign's Tournament with nineteen other men, and each of them is fighting - and killing - for the chance to rule at The Savior's side. It's a night like any other on board the Icarus. Then, catastrophe strikes: the massive luxury spaceliner is yanked out of hyperspace and plummets into the nearest planet. Lilac LaRoux and Tarver Merendsen survive. And they seem to be alone. Lilac is the daughter of the richest man in the universe. Tarver comes from nothing, a young war hero who learned long ago that girls like Lilac are more trouble than they're worth. But with only each other to rely on, Lilac and Tarver must work together, making a tortuous journey across the eerie, deserted terrain to seek help. 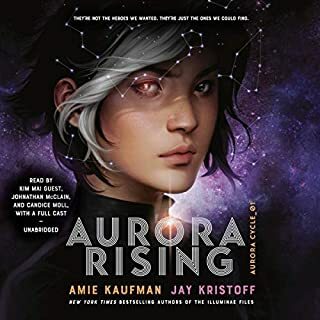 From best-selling author duo Amie Kaufman and Jay Kristoff comes the exciting finale in the trilogy that broke the mold and has been called "stylistically mesmerizing" and "out-of-this-world-awesome". Kady, Ezra, Hanna, and Nik narrowly escaped with their lives from the attacks on Heimdall station and now find themselves crammed with 2,000 refugees on the container ship Mao. With the jump station destroyed and their resources scarce, the only option is to return to Kerenza - but who knows what they'll find seven months after the invasion? Meanwhile, Kady's cousin, Asha, survived the initial BeiTech assault and has joined Kerenza's ragtag underground resistance. When Rhys - an old flame from Asha's past - reappears on Kerenza, the two find themselves on opposite sides of the conflict. With time running out, a final battle will be waged on land and in space, heroes will fall, and hearts will be broken. A Kirkus Reviews best book of 2018. The performance this cast gave was amazing. I only wish the individual characters had more opportunity to speak because all of them have such amazing performances, but then that would deprive me of the ever wonderful analyst 7213 0089 (whose true identity is finally revealed! ), which would also be a tragedy. This book reminds us that everyone involved is there against their will. The survivors heading towards Kerenza never asked to be attacked, the survivors on Kerenza never asked to be occupied by an invading force, and even the invaders never signed up to occupy a hostile planet for 7 months. There are some great villains you love to hate, only to be reminded of their humanity at the least opportune moment. There is also just as much tragedy in this final installment as in the previous ones. This was a highly satisfying ending to a great series. This wrap up to the series was perfect. I couldn't sit through an audiobook before I got to this series. I could not have thought of a better way to wrap up a series. my only very small little problem with this book is the main character bubble makes it a little hard to get worried something might happen to the main characters in the book. A thrilling conclusion to the series. 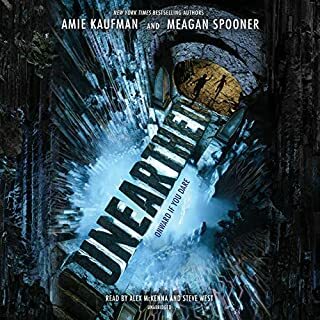 I was on an emotional rollercoaster through the entire book, and was constantly surprised by the twists the authors threw out up until the very end. A truly amazing story! I couldn’t break away from it until all three books were done. The performance is a full production, with distinct characters, complete sound effects, etc. 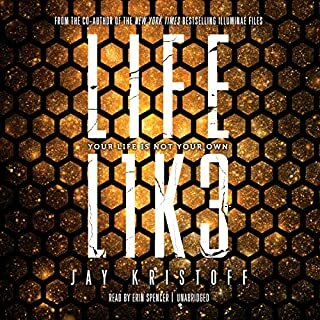 It’s the best performance I’ve heard yet on any Audible book. Just a note - these are not stand alone books. Get all three or you’re cheating yourself. 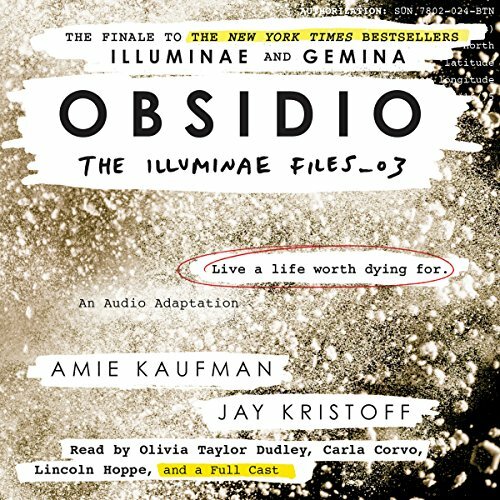 The Illuminae series will go on my short list of the books I listen to many, many times. There is going to be a movie some day, I hope. 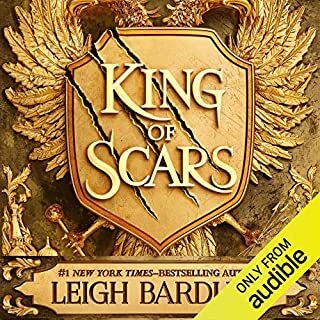 I had to start listening to the audible version while I followed along with my old kindle fire because the type is so small on some of the graphic pages, especially during the battle scenes, I couldn't read it. The full cast and the sound effects just made the story all the better. I enjoyed reading Illuminae so much, that I downloaded it and listened to it all over again on a road trip with my daughter. I am thoroughly impressed with the writing, research and production value of this story. What a ride! Book 3 was just as good as the first 2! 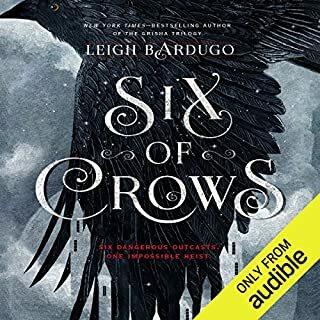 This has been the best audio book experience I have had to date. Such an excellent series! Everyone should listen to this series. everyone. listen. please. you will not regret it. this is God's gift to audiobook format.